I have seen a few financial articles over the last year or so entitled “The Seven Deadly Sins of Investing”. Some I thought were pretty good and others kind of just okay. I’m certainly no expert on Dante and I have never read Chaucer’s “Canterbury Tales”, but I did love the film “Seven”. I remember it was always written “Se7en” stylistically and after that, a few more of these kind of visual/phonetic substitutions popped up from time to time: “Lucky Number S7evin”, “Tak3n”, Avril Lavigne’s “Sk8ter Boi” and I’m sure there are other examples. But anyway – I digress! 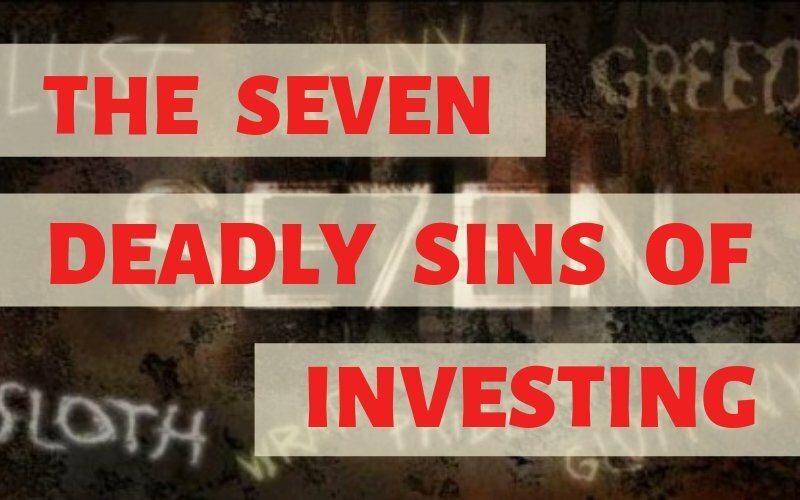 I thought I would have a crack at my own version of the Seven Deadly Sins of Investing because I’ve seen my fair share of things to avoid and hopefully, this will help you to avoid the same “sins” when you’re investing. The lust for unrealistic returns can lead to some monumentally bad investment decisions. I have seen highly capable and intelligent people invest in scams because they were lured in by the promise of big returns. It’s when, in the back of your mind, you know that you are making a mistake, but the desire of wanting it to be true and picturing the benefits that extra money could bring leads you to doing it anyway. Let’s not get lusty, people. Save the lust for your other halves. An example of gluttony could be when your adviser keeps coming back to get you to invest more. I was once told that this was the point of client reviews! Does your adviser want you to invest more because you actually need to invest more to reach your financial goals, or is it all about the commission he’s going to get when you do? Be careful of the latter. Greed, like lust and gluttony, is a sin of desire and is defined as the desire to acquire more than one needs, particularly in regard to material wealth. This behaviour can present itself in the form of your adviser putting his or her needs before your own, which can lead to the mis-selling or inappropriate recommendation of financial products – all with the aim of earning more commission, regardless of how that impacts on you. Sloth is really the failure to do the things that should be done. You might see this where your adviser is too lazy to manage your portfolio properly or pro-actively. 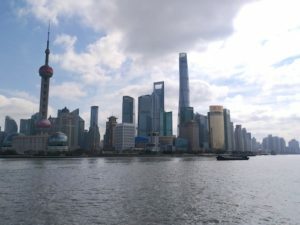 Even if your adviser is using a more passive investment strategy (something which I endorse), things still need to be monitored and that includes the client’s personal circumstances, changes in which could have an impact on the overall financial planning strategy and therefore, on how the portfolio is weighted. It could also be the failure to act in the best interests of the client or with integrity (see Greed above) in order for the adviser to pursue their own objectives. Failure to act can also apply to the investor. As I have discussed in a previous post, I believe it is important that you should be up to speed with the basics of your portfolio if it is being managed by someone else and failure to do that can result in being taken advantage of. Wrath is uncontrolled anger, rage or hatred. You might feel this towards an adviser when you find out he’s stitched you up with a completely inappropriate financial product that you’re now stuck with for the next 20 years. It happens. Be careful out there. Don’t rush into anything before you’ve done your due diligence and avoid having to go nuts on people that have screwed you over. Why is my friend’s portfolio doing better than mine? I have heard this before, but you need to control that envy, because it’s likely that you won’t be comparing apples with apples. Does your friend have a more aggressive portfolio? Is she holding the same class of assets? What is the investment horizon? And many more questions that need to be asked. Unfair comparisons can lead to chasing performance and making knee-jerk decisions that damage your portfolio in the longer term. By all means, look at what other people are doing, but check to see if the same strategy fits in with your needs before you go all green-eyed monster. Some advisers think they know what they are doing, but they don’t always actually know. Some refuse to accept their limitations when it comes to investment advice and instead stick to the old school sales tactic that if it is said with enough confidence, the client won’t question it in any way. I think more advisers should swallow their pride and admit that they don’t always have all the answers, rather than just charging in with whatever needs to be said to seal the deal. Advisers with a big ego are a danger to your investment, so watch out for that one. So, there you go. That’s my Seven Deadly Sins of Investing. Anyway, try not to commit any of these ‘sins’ and you’ll probably do a Hell of a lot better with your investments. 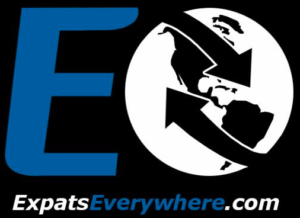 Seriously, would-be expats shouldn’t be let out until they’ve read this, particularly if they’re retirees with a pension pot!